This is a reminder to all visitors to be aware of and take into consideration other users when enjoying the park. 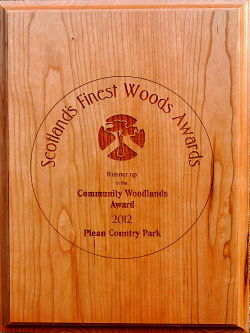 Plean Country Park is used for many outdoor pursuits including walking with and without dogs, horse riding, running and cycling. Sometimes these activities do not mix well. Recently there was an unfortunate incident in the park where a horse was startled by a dog resulting in the rider being thrown to the ground and the horse bolting onto the public road. Luckily no major injury resulted and the horse was recovered safely. The consequences could have been very much more serious. Animal and bike owners have a special responsibility to ensure that they are in control and do not to cause upset or injury to other park users. In areas of dense vegetation always be aware of the possibility of sudden encounters with other users be they dog walkers, cyclists or horse riders. It is much more of an issue on the bings now that the trees have grown up and enclosed the pathways – dogs do tend to 'pop out' from nowhere. Keep dogs under control and within recovery range at all times. In areas of dense vegetation be in control of your dog and be prepared for the possibility of sudden encounters with other users. Horse riders should keep to the designated horse trails and always be aware of the possibility of other users and particularly dogs in their path. Keep to walking pace except in the designated canter area and only then if the track is clear. Cyclists should stick to the paths and moderate their speed to the clear view ahead. When approaching from behind give plenty warning and do not try to overtake unless safe to do so. Walkers need to be aware of the possibility of encounters with animals and cycles and keep alert especially in areas of dense vegetation. The simple message is – keep alert and consider others. That way we can all enjoy the park.